Built 1902 by Ferdinando Bernasconi. 500 seats. Also used as a cinema since 1917. Also known as "Teatro Kursaal". 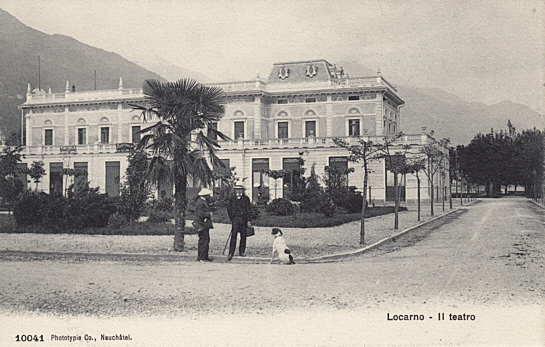 Front Text: "Locarno - Il Teatro"
Front Text: "Locarno. Lac Majeur, Suisse. 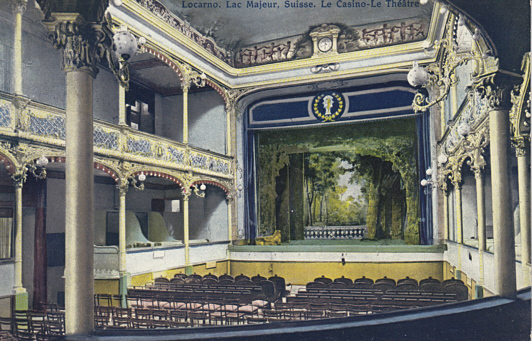 Le Casino - Le Théâtre"